Why I Wear Crocs and Shorts in Winter | "Granny Beads and Grocery Store Feet"
I’ll be the first to admit that the inside of my head isn’t a place most people want to visit, much less live or even stay for a while. It gets weird in here at times, even for me and its MY head. I think strange things; not so much “bad thoughts” or “thoughts I shouldn’t think” as much as “where the blazes do these thoughts come from?” I’m sensitive to odd things. Odd moments make me emotional. Strange things can make me cry. I also do some strange things. They aren’t strange to me. In fact, they seem quite normal while they are in the planning stages inside my head, but when they break out into the open, they make people look at me oddly. I’ve rather gotten used to it. I guess one of the strangest things I do — as far as others looking at me goes — is wearing my Crocs and shorts in the coldest weather, often with a short sleeve shirt and no jacket. Folks think this is strange behavior, and they are always asking me why I don’t wear a coat or why am I wearing shoes with holes in them and other, perfectly valid questions. 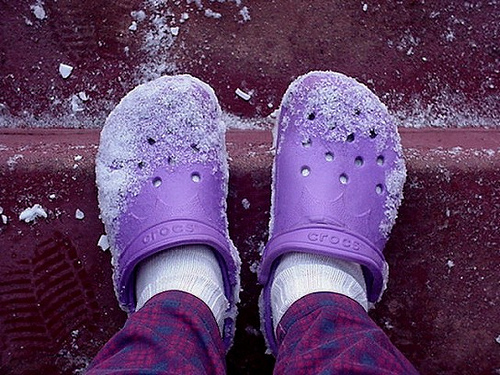 Even though I wear Crocs all the time, they take on a special meaning in winter. Yes, I do get cold. I am fat and so have a goodly amount of natural insulation and it helps more than you’d think, but my arms get cold and my legs get cold and sometimes, my feet are too cold to feel. Still, I’ve never told anyone before — not even Budge or Mama — why I intentionally let myself get very cold, to the point that sometimes it actually hurts. When I’m letting myself get cold, I’m reminding myself that, no matter HOW cold I get — how cold I LET myself get — I’m never going to suffer from the cold in any way as badly as others have. Enduring a tiny bit of frigid discomfort is my small, weird way of honoring those people whose memories lay like limestone blocks on my soul. 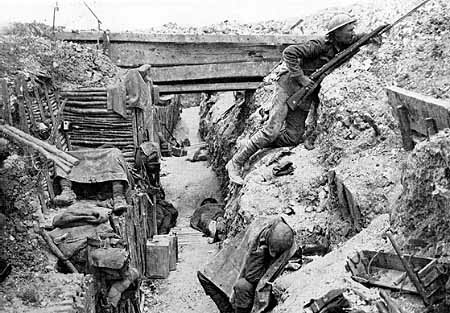 No matter how cold I get or how wet and frigid my feet get, I’ll never be half as cold as the men — boys really — in the trenches of the First World War. My feet aren’t going to go numb and get frostbitten and develop trench foot. I’ll be going into a warm house or car shortly, not standing constantly in ankle-deep water that doesn’t freeze only because the constant movement of men keeps the ice broken up. 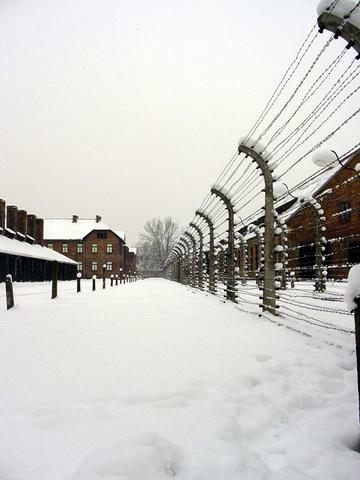 I read Night as a senior in college and I’ve never looked at cold the same since because God knows I won’t be as cold as the poor souls of Auschwitz, Majdanek, Mauthausen or the other hundreds of concentration camps spread throughout the Nazi Reich. Every time I feel the cold, and especially the biting winds, slashing into me so I feel myself trying to “draw in” for some relief, I see rows and rows of wretched men, women, and children standing on the appelplatz with snow on their shoulders and no shelter from the Polish winter winds. Standing in the elements, freezing to death for the unspeakable act of being born Jewish, Gypsy, Polish, or Russian. I think of them trying to sleep on a wooden plank with a “blanket” — more of a worn bed sheet — for warmth, knowing through the winter blackness that dawn would bring no hope, no reprieve only more cold. PLEASE understand I in no way claim kinship with the Shoah victims. Nothing I could inflict upon myself would approach the deprivations they endured, and certainly a few shivers and goosebumps can scarcely bring their suffering to mind, but I do attempt to remember. And so, to honor their memory. When I get bitterly cold, I know a warm shower, hot meal, and invitingly comfortable bed with mounds of warm quilts or an electric blanket await me just inside my home. So, I know I’ll never fully understand the plight of the homeless in America’s cities, huddled about burning trash barrels, sleeping atop steam grates, stuffing their rags with newspapers — all the time trying to raise their temperature just a degree or so. All the while enduring not only the biting cold, but also the biting stares of those who’ll never have to worry about their next meal or where they will sleep or what will happen to them if the temperature drops again tonight. Knowing that there, but for the grace of God, do I lie huddled while my fellow-men walk quickly past. I’m trying to honor and remember these brave, damned souls who fought against Old Man Winter. 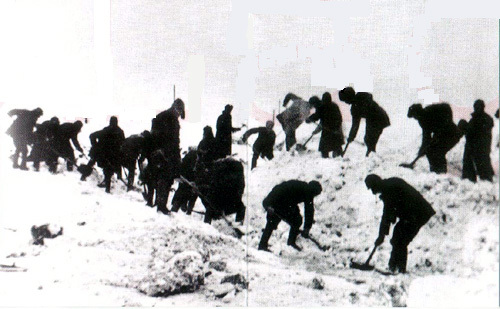 From Valley Forge with its bloody footprints in the snow, to the bitter winters around the Chosin Reservoir and Inchon during the forgotten Korean War, to the Arctic and Antarctic explorers and all the snowbound, ice rimed humanity in between, in war and in peace, but always in cold. Men and women, some fighting for God and king, some just down on their luck, many freezing to death far from home, but all denied the most basic human right — the right to be warm. So that is why I often wear Crocs and shorts without a jacket in winter. It’s not much, but it’s the least I can do. To give honor; to remember. Love y’all and don’t forget to keep your feet warm, dry, and clean. Thank you for sharing this entry. It brought tears to my eyes. That is how touched I was by what you have written. Thank you for that, and thank you for your tribute!